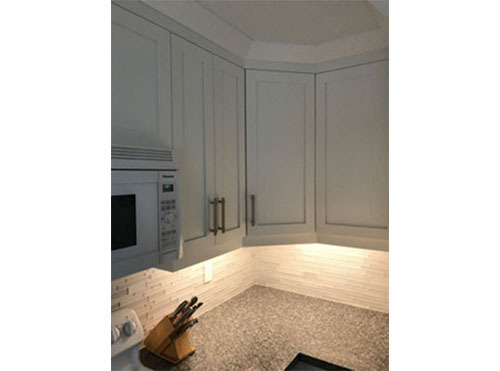 Full kitchen renovation in a Mississauga home features solid maple cabinets in dove white complemented by quartz countertop. Crown molding, new flooring and glass backsplash makes this L shaped kitchen modern and bright. 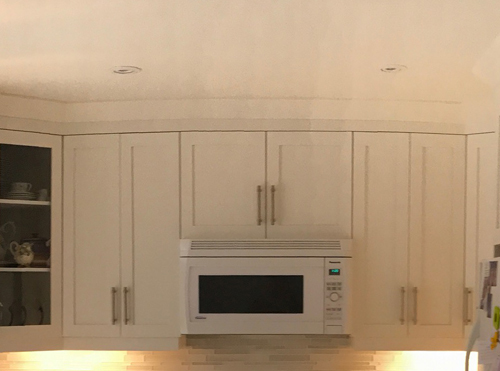 This featured project showcases a traditional kitchen with solid maple door, painted and stained in antique white with brown stamping. Mission style cabinets accented with wire mesh and mullion doors adds artistic detailing. Dentil molding outlines the kitchen space and decorative corbels, handcrafted in solid wood, frames the island and custom fan hood. 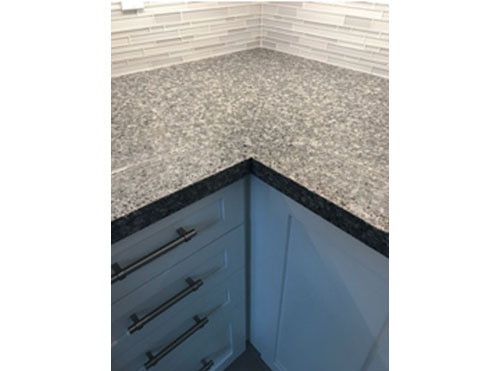 The kitchen counter and island showcases granite with ogee edge finish and all solid maple drawers were made with dovetail joints. Custom wood window valance and pull out pantry shelves add personal touch and convenience. This fully renovated kitchen features painted MDF custom cabinets in white. 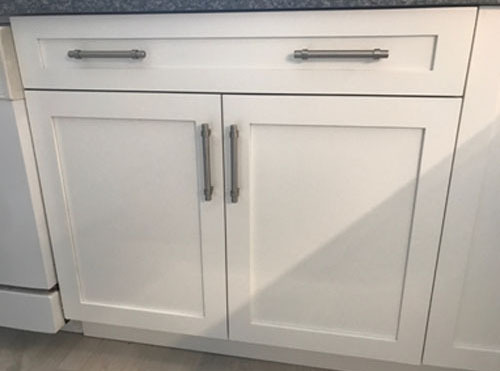 Shaker style doors and drawers paired with simple tubular bar pulls gives this all white kitchen a modern look. Quartz counter top in Frost White and built in appliance cabinets were tailor made for the open kitchen space.